← Planning a 4th of July Proposal? 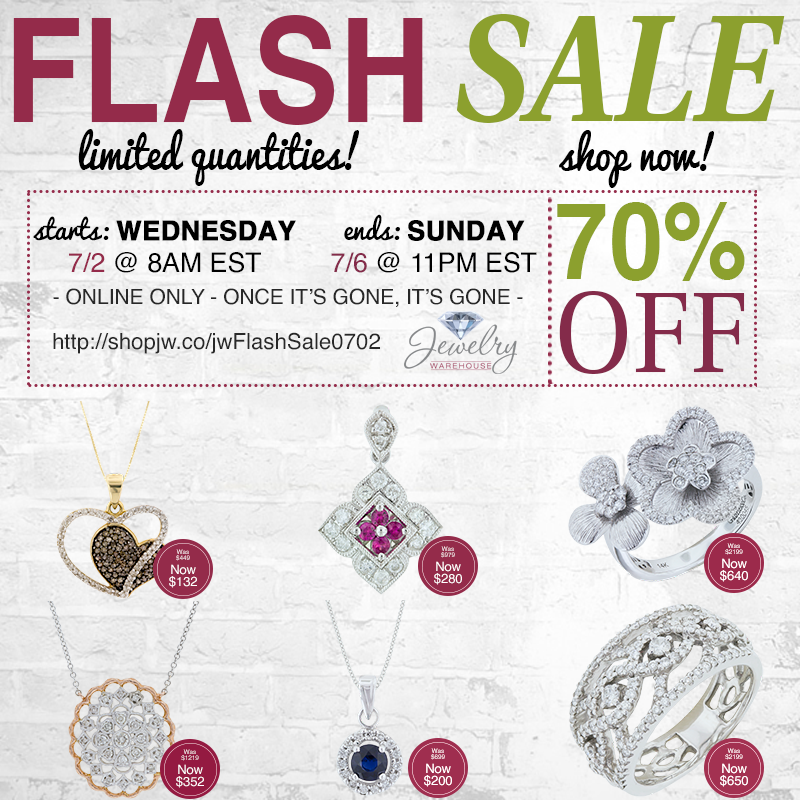 It’s time for another Jewelry Warehouse Flash Sale! This time, save up to 70% off on designer jewelry pieces! This entry was posted in Jewelry, Sales and tagged clearance, flash sale, Jewelry, jewelry sale, jewelry warehouse. Bookmark the permalink.